Finding and keeping customers is top priority in today’s highly competitive market. The explosion of digital marketing has made the traditional approach to marketing fall to the wayside. Companies are finding it hard to catch up and keep on top of the ever-changing market place in which they find themselves. Cashback marketing is becoming an increasingly popular tool for manufacturers and resellers to encourage purchase because it works. It is a faster and more immediate alternative to a reward program. Repurchase is also a highly-anticipated result as part of a successful cashback campaign. After all, who wouldn’t want to receive a cash reward? A cashback program entices customers to buy your products. It can maximize the potential for customers to choose your product over a close competitor with similar product benefits. The cashback reward can be the ultimate ‘cherry on top’ in the decision-making process. Nothing is better than getting rewarded with cash and a set amount ($100, for example) makes the customer think about how they would better spend that money. How about those new shoes, that fancy dinner, the gym membership? A cashback reward is given to purchasers as a tangible refund. The amount is a set amount of money spent on the product and can work for manufacturers and re-sellers alike. The cashback rewards strategy is so much better than a discount, because the cashback is more tangible and memorable. Cashback programs are perfect for consumers looking for a good deal. Deals can be offered in store or online via mobile, video, social and search marketing. Cashback sites assist with the validation and issuance of the cashback reward. For manufacturers,the greatest benefit of a cashback reward is that it allows a set discount to be passed directly onto consumers. If they simply set a normal discount, this amount may or may not be passed on to the consumer by the retailer when they decide their margin. Cashbacks can also have positive tax implications. An Australian tax advisory would be best to provide advice on exactly how this could work in your business. Traditionally, cashbacks are received via a cheque meaning the customer must go to the bank to cash that cheque. Who has the time for that nowadays? Prepaid cashback cards are becoming the most popular choice for manufacturers and resellers as our modern world advances and time-poor consumers want the most convenient option available. What are Prepaid Cashback Cards? Prepaid Cashback Cards are physical Mastercard, Visa and eftpos cards with the cashback amount pre-loaded onto them. These cards have greater appeal with participants because they are reminded of your company every time they use them. General cash and cheques just disappear into general household funds and become forgotten quickly. People love the ability to choose what they would like to buy for themselves. They are also fully secure as funds are held in a bank account. 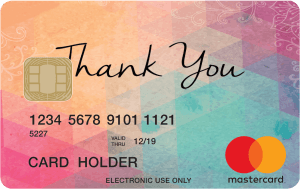 Corporate Prepaid Gift Cards, a sub brand of Australian company Zenith Payments offer a fantastic cashback Prepaid Card product and service to make life easier for manufacturers and resellers. You can choose from a prepaid Mastercard, Visa and eftpos card to offer to consumers as your cashback reward tool. 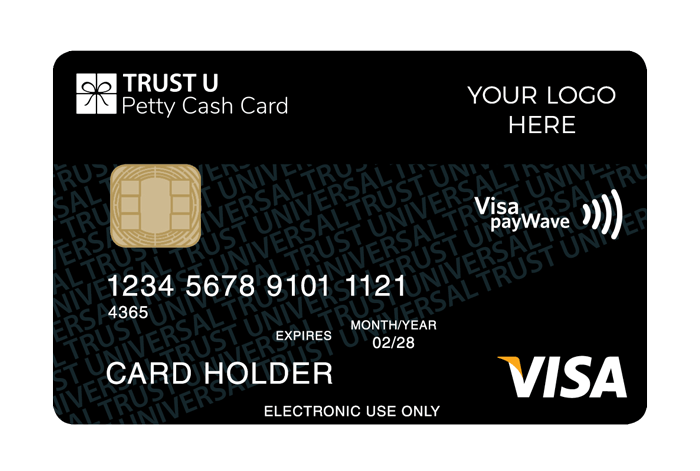 These cards can be used anywhere that Mastercard, Visa or eftpos are accepted. The prepaid card can be issued in any chosen denomination from $0 to $10,000. Your company or product logo can be printed on the gift card for maximum brand recognition, or you can choose a generic design if you wish. Having your brand featured on the cashback reward card is the ideal choice as it will have trophy value – your customer is constantly reminded of you and the reward they received every time they open their wallet. The Corporate Prepaid Gift Card system has been set up to make the cashbacks management process easy for your company. They will set up the cashbacks claim site for you with your product or company branding. They will validate the claims on your behalf and check proof of purchase. You will be provided with full administrative reporting to make your life easier. They also provide the card activation site to make the process very simple and straightforward for your customer. Corporate Prepaid Gift Cards are perfect for cashbacks, incentives, rewards, commissions and corporate gifts. You may even get a GST rebate on the cost of the card. Once again, it’s best to chat to your accountant on how this could work for you. This process is fully managed by Zenith Payments. They are known in the industry to have lower custom card design and production costs and also have set up cost effective systems for their customised claims websites, processing claims and delivery of cashback cards. Zenith Payments is Australia’s leading prepaid cards and payments processing provider. It provides innovative payment solutions for a plethora of companies, including blue-chip organisations, in various industries and across multiple sectors. Zenith Payments is fully Australian owned and is completely privately owned. The company originally started in 1984 as part of Pinpoint Marketing. In 2014, Pinpoint was sold to Mastercard, and Zenith went its own way, continuing its outstanding performance and growth within the payment industry. Its turnover is more than one billion dollars. Out of the top 500 Australian companies, 300 of them use Zenith Prepaid Cards. The average amount of time that Zenith’s clients remain with the organisation is more than ten years and this is due to the high-level quality of service provided. They have a complete range of Mastercard, Visa and eftpos cards and can provide full customisation of your card. Tap&Go Pay wave functionality is also available. They also have Zero Balance and reloadable cards which have no money stored on them initially, but can be topped up. For more information about Corporate Prepaid Gift Cards please visit our home page. To read more about Zenith Payments, please visit the Zenith website.